What is a myth? A myth binds a “people” together, giving significance to an indifferent world in the present, serving as the motivation to act in order to keep this world and this people together, whole. 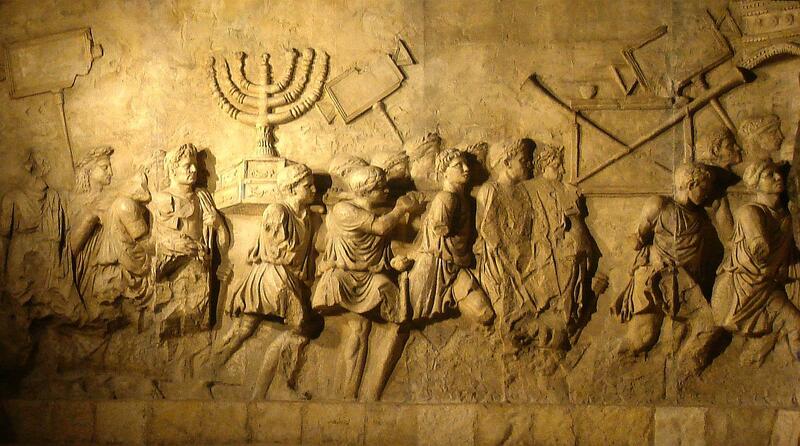 Hanukkah was born a myth, and its continual reworking is its very truth. Even as it happened, there were stories of heroes and legends circulating about it. The holy days we celebrate were not given by God, but by a public assembly after the events. The Jewish people gave themselves the power to authorize a week as holy, a power that is seemly divine. But as we will see, Hanukkah is the true myth of a people acting as if they were divine. The first known sea adventurers who came close to the Northwest Passage were Norwegian Vikings, as a result of hunting and trading expeditions with the locals (Inuit and People of Dorset Culture). 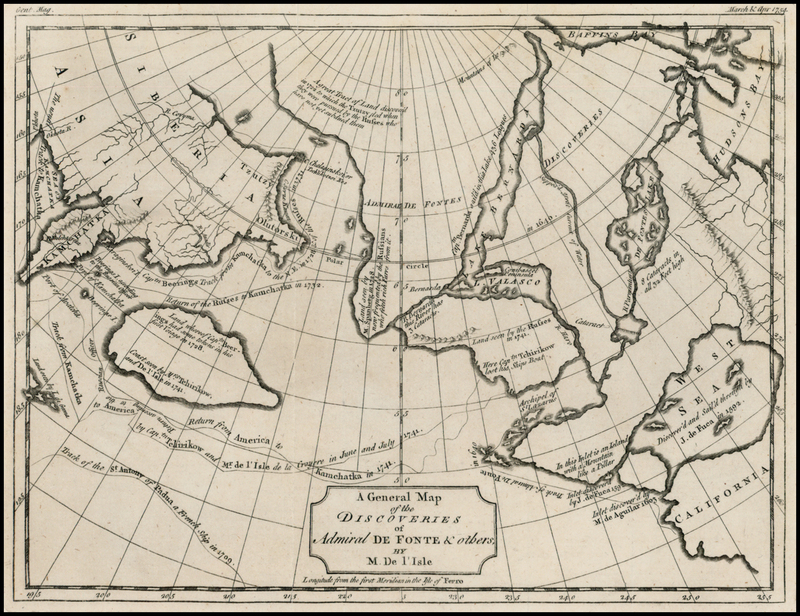 But it was not until the 15th and 16th centuries that colonial powers from Europe, eager to systematically explore and expand the trading routes of the ascendent dynamism of capitalist exchange, made the Northwest Passage a locus of dispute. Seen as a possible shipping route that would connect the Pacific and the Atlantic Oceans, competing powers financed a series of journeys around the ice landscape. Guided by the scientific misconceptions and prejudices of the time (the ridiculous belief, for example, that seawater cannot freeze), most attempts were remarkable failures. Perhaps the most celebrated of these failures belongs to John Franklin, heir to a family of country gentlemen from Lincolnshire, who would later become a Royal Navy officer and explorer of the Arctic. Having participated in a number of successful imperialist battles and expeditions (notably: the Battle of Copenhagen in 1801, an exploration of Australia in 1802, the Battle of Pulo Aura on behalf of the East India Company and the Battle of Trafalgar during the Napoleonic Wars in 1805), Franklin’s reputation as a loyal and courageous lackey of British capitalism won him a front seat in the exploration of the north coasts of Canada. Those travels were far from uneventful: in between 1819 and 1822 most members of his crew died, while Franklin himself survived. 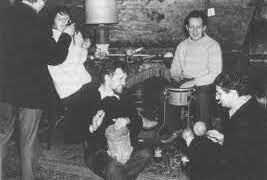 In doing so, he gained the nickname “the man who ate his boots”, though it is more likely that his survival had something to do with certain allegations of cannibalism rather than stuffing himself with leather boots. Notwithstanding, upon returning from his first Arctic vacation, Franklin got married to the poet Eleanor Anne Porden, on the condition that their marriage would not terminate her poetic endeavors. When Eleanor died of tuberculosis two years later, Franklin married her best friend. In 1845, and at the age of 59, Franklin accepted an invitation to lead a new expedition to map out the last 500 km of the unexplored Arctic coastline, the so-called Northwest Passage. HMS Erebus and HMS Terror (sic) were chosen for the journey, and their respective libraries were filled with more than 1,000 books. Three years’ worth of supplies were also included, but -alas- the provisioner was a cut-throat merchant who put his particular accumulation needs above those of the universal (haha) Crown: the water-distilling system and the canned food were leaking heavy doses of lead, steadily and decisively poisoning crew and officers. Leaving England in May 1845, the ships were last seen by other Europeans in July in Lancaster Sound by a whaler. Trapped in the ice, Franklin and crew are believed to have wintered 1845-1846 on Beechey Island, and no white people ever set eyes on them again. In timely fashion, the Admiralty launched a search party and offered a considerable sum of money to anyone who would locate the frozen remnants of the glorious expedition, three years after their departure. A number of equally eager adventurers set out to collect the fee, but when more ships and men were lost looking for them, the expedition was called off. All that remained was “Lady Franklin’s Lament“, a ballad heroically commemorating his wife’s endless search for her lost husband. 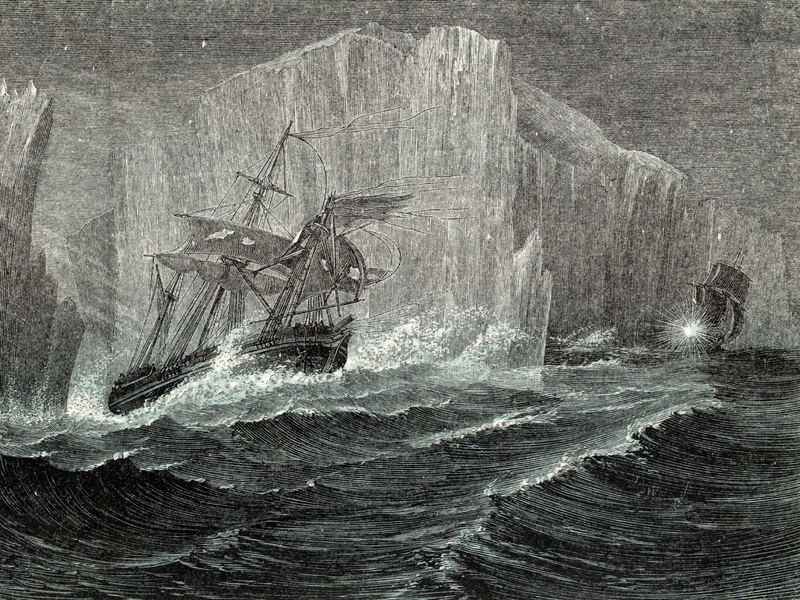 In what was a simple twist of fate during another expedition, reports on the actual fate of the motley crew resurfaced in 1854, but the news only angered the widow and the establishment: with both ships icebound, the men had tried to reach safety on foot, only to wither away in a combination of freezing temperatures and (old habits die hard) cannibalism. Their dire conditions where made worse by their colonial idiocy: when encountering local Inuit hunters, they condescendingly refused to ask them how they managed to survive. Their arrogance accelerated their disappearance from history. Ice cold, colonial smugness and scientifically unsound prejudices dealt the final blows to Franklin’s expedition. But capitalist necessity recovers (relatively) quickly from its archaic hiccups. Moreover, global warming, a side-effect of capital’s insatiable lust for value, also helped. With the ice of the Northwest Passage melting faster than the time it took Franklin to admit they fucked up and should probably get some tips from the local Inuits, shipping along the Arctic coastline became possible again around 2009. In 2010, 4 ships made it through unscathed, and in 2013 the number was up to 71. And since no reversal of the ice melting is expected, as experts reluctantly tend to admit, one can only expect traffic in those ice lands to increase in the future. If one adds the recent estimate of the geographical service of the American Army, that the Arctic ground contains 13 per cent of the world’s oil reserves and 30 per cent of the world’s natural gas, it would not be an understatement to claim that the opening up of the Northwest Passage gets renewed as a locus of competing capitalist interests. Having survived the previous territorial carving up of inter-imperialist conflicts, the Arctic landscape is once again losing its peace and quiet with great speed. Norway, Sweden, Iceland, Finland, Russia, the US (through Alaska) and Denmark are among the main competitors, but Japan, China and India are not far behind. In this push and shove around the ice fields, Russia is so far doing its best to install Putin’s statue on this side of the earth’s axis. For in accordance to a 1982 UN resolution (that the US have so far refrained from signing and has probably led them to kick themselves), if a country proves that the seabed is but an extension of its own territory, it can claim ownership (Russia claims it can actually prove such a thing). In another instance of this Arctic-style Cold War (first as a farce, then as tragedy), Denmark and Canada (backed by the US) have also engaged into a heated exchange of insults, centered around Canada’s recent military occupation of the insignificant (by all means) Hans island, which is floating between Greenland and Ellesmere. As all inter-national disputes, the Hans island conflict is skating on thin ice, caught between absurdity (the rock is less than one square kilometer in size) and seriousness (war manufacturing is still a profitable industry). And though for the time being a certain agreement has been found (as absurd as the dispute: Hans Island will be divided in two), the “political complexities of making an [official] announcement are, in many ways, much more complicated than settling the actual territorial dispute”.